Just a few months after Virginia Governor Terry McAuliffe vetoed a bill that would have required public schools to notify parents of “sexually explicit content” in curricular materials, the proposal has returned in the form of a new draft regulation from the state Department of Education. Last week, CBLDF and our partners in the Kids’ Right to Read Project sent a letter calling attention to this end-run and urging members of the Virginia Board of Education to reject the proposal. 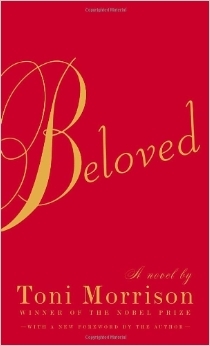 The vetoed bill arose from one parent’s attempt to ban Toni Morrison’s Pulitzer Prize winning novel Beloved from her son’s AP English class after he complained that the book’s content gave him nightmares. In his veto statement, McAuliffe correctly pointed out that “this legislation lacks flexibility and would require the label of ‘sexually explicit’ to apply to an artistic work based on a single scene, without further context.” As KRRP pointed out then and now, the labelling proposal could restrict the curricular use of a host of classics from Romeo and Juliet to Brave New World. By burying its regulation deep within a lengthy and scantly publicized document of proposals, DOE officials are preventing voters and local communities from meaningfully considering this controversial issue. Very few citizens have the knowledge, time, or acumen to offer input about the proposed regulations. In contrast, when similar policies were proposed at the state level (HB 516) and in Chesterfield County, citizens and activists were able to speak with their elected leaders and participate in informed debates. Below, read the full KRRP letter co-signed by the ACLU of Virginia, American Booksellers for Free Expression, Association of American Publishers, Authors Guild and PEN America in addition to CBLDF.